Accessing Mental Health Services in Orange County: This is the third year in a row that I have attended a session that had something to do with available county services. Why, when I could pick a different topic each year? Mainly because I wanted to see what might be changing in the wake of the Affordable Care Act. Two years ago, the session I attended was all about what we could expect from the Affordable Care Act, and, above all, how to get the word out to people who would be eligible for subsidies and get them to sign up. Last year, it was all about what was new with the Affordable Care Act, which mainly boiled down to people on Medicaid (called Medical in California) being able to get mental health services before they are in dire crisis (plus, since California isn’t one of the states that rejected the Medicaid expansion, more people can get Medical). This year was different; the changes from the Affordable Care Act have already happened, and the focus was not so much on what has changed as on what the services are, going forward. There were two sections to the session, one on Caloptima (the provider for everyone on Medical in Orange County – this varies from county to county), and one on the OC Links information and referral line. As of March 31, 2015, Caloptima in Orange County had 730k members, up from less than 500k before the Affordable Care Act. There’s also a behavioral treatment program for autism spectrum disorder that’s new as of September, 2014. Otherwise, the mental health services available are, as they were last year, individual and group therapy, psychological testing, outpatient monitoring of drug therapy, psychiatric consultation, and Screening, Brief Intervention, and Referral to Treatment (SBIRT), a program where primary care physicians screen their patients for alcohol abuse. OC Links is a phone number to call for all kinds of referrals related to mental health (855-OC-LINKS). It differs from 211 in being specifically focused on mental health. OC CAT and PERT: This session covered two things. CAT is for Centralized Assessment Team, a team that you can call to come to wherever you are and do an assessment as to whether someone is a danger to self or others, and might need to be committed on a 5150. They can get anywhere in the county usually within 30 minutes (in an immediately life threatening situation they advise calling 911 instead). What you get are mental health professionals who work closely with the police; cops will come with them, but it will be mental health professionals who do the evaluation. PERT is related in that it also involves mental health professionals riding with police and helping them learn to better handle people in their area who have mental illness. A trained clinician rides with a patrol 1 to 5 days a week, and the city involved develops a team of police officers with additional training related to working with people who are mentally ill. We heard from police officers in Newport Beach and in Anaheim, and the mental health professionals who rode with them. Keynote speech at lunch: This was about the treatment of PTSD in veterans. The speaker clearly knew his topic well, and had some of the most compelling information of any keynote speech I’ve heard at the several Meeting of the Minds conferences I attended. That was the good part. The bad part was that, in the part of the room where I was sitting, he was not very audible at all. It took constant concentration to hear what he was saying, and this situation got worse as people around me gave up on hearing the talk and began talking about other things. Maybe the mic needed adjusting? What I did get out of the talk was that perhaps 16% of veterans have PTSD, and as many as 30% of those wounded, and that while only a very small percentage recover on their own, around two thirds can get better with proper treatment. The treatment was multi-faceted, and I wish I could have heard all of it, but I gathered that it included yoga, meditation, cognitive behavioral therapy for insomnia, and prolonged exposure with breathing. 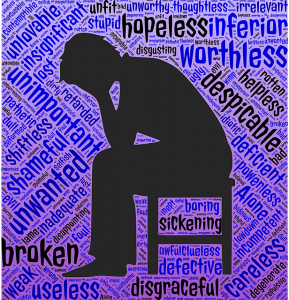 New Diagnostic Test and Treatments for Depression: This session discussed three things. 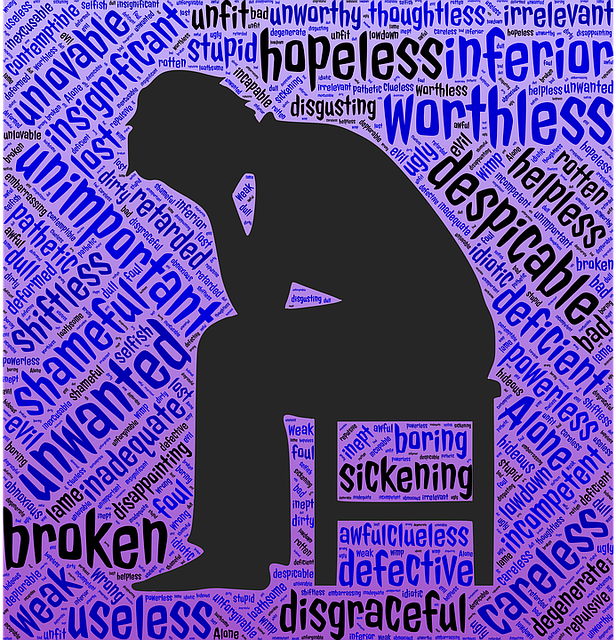 The MDD Score is a simple blood test for biomarkers associated with depression. It includes neuroendocrine, metabolic, neurotropic, inflammatory, etc. biomarkers, for an overall score that says whether you’re likely depressed. The GeneSight Psychotropic Test looks at genes that may affect your body’s response to and metabolism of different psychotropic drugs, to help in selecting which drug to give you. And Transcranial Magnetic Stimulation is a treatment for depression, where you sit in a chair and get a magnetic pulse sent through your brain. It’s still not covered by Medicare in California (though it is in some states), but is covered by some insurance plans. I have more notes on the talks, but that’s the gist of what they were about. We are quick to judge someone who abuses drugs. But shouldn’t we evaluate what led them to use such methods in the first place? The first time I smoked weed was because I felt depressed and wanted to feel anything else. I didn’t know I was in a depressive episode at that time. I no longer use it, I actually rather despise the substance. But it is not the only drug. I want to feel guilty about abusing my psychiatrist’s trust but I am not the type to feel much remorse. The powder can work better than the whole. Your nose may ache and the initial rush is so heavy you feel like your heart will explode out of your chest. But I found if you balance the drug with another… then you can excel. In a way, it is typical cliche college student. They say a ridiculous amount of college students abuse stimulants but I’m not sure of how accurate that is. I have yet to meet any who do but then again- I don’t have many friends and I’m sure it is not something most will announce to the world. It is not something I do that often, at least not anymore. It is something I do when I’m desperate. I felt so stressed out that I couldn’t function- I couldn’t focus, I couldn’t get started- and the seconds were ticking away. The pressure to never fail. Not a single class. You want to go to grad school, don’t you? You want to be a success, you want this career because for some reason you have equated it to happiness. You’d do an awful lot to get this, wouldn’t you? There are some who would go further than I am. Sabotage their peers even. I am not so devious. Shouldn’t I feel bad that I have to use these methods at times? I should but I don’t. Like I said earlier, I’m not the type to feel guilt. Would I feel more accomplished if I did it the “right” way? Eh. Maybe. But I’d probably see no real difference. Either way I got the work done- that’s what matters, right? I’m driven to these methods by expectations. Expectations that were put on me by family and by myself. Ever since I was little it was like my whole life revolved around my future career. Was it my fault? I don’t know. My siblings are all older than me by quite a bit. When I was old enough to start having a good concept of the future, my siblings were all determining what they wanted to do in this world. It made me ask myself the same question. And for as long as I can remember I have had a career goal. I revolve my life around it. But I don’t want to. I want to be happy and have fun. So I come to be between a rock and a hard place. I can either spread out the time spent studying by not going out drinking or I can get it done in one night by working excessively (and perhaps with a little help) and go drinking. I’ve done this to myself. I feel trapped in a world where career is everything. But to get to career, I have to get through college. And let me be honest- I hate college. Or at least, I hate the pressure. The deadlines, the high marks, everything. I wish I could learn in an enjoyable way. But let’s face it, I hate my major. I love my minor. Both are useless unless I can get into grad school. I’ve given up on med school, which is what I have completely devoted my college classes towards and it is too late to go back. I am shifting my goal but it doesn’t exactly align with what I’ve done. Stability… does that word even truly apply to me, ever? You would think so. But I don’t think so. I am always a little up or down. Always have some unhealthy addiction. Am always a little self destructive. Tonight I used unethical means to get some school work done. But will you judge me before you even consider what made me want to? Don’t call me lazy. But if you want… you can call me desperate.